Looks like this will be a hit. I love those mint chips--I haven't seen them in Alaska yet, but I love the color. What a fun snack! Whoa boy, those look great! These are totally festive, much more festive than I'm going to be for St. Paddy's day. What a great treat these are...pretty festive! 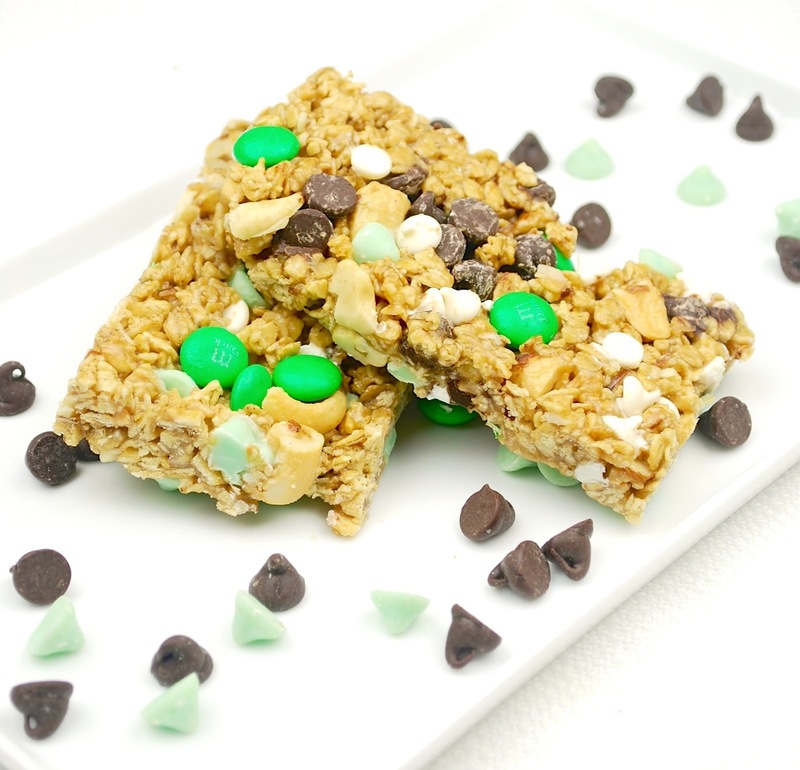 Mint chocolate granola bars, holy yumminess! 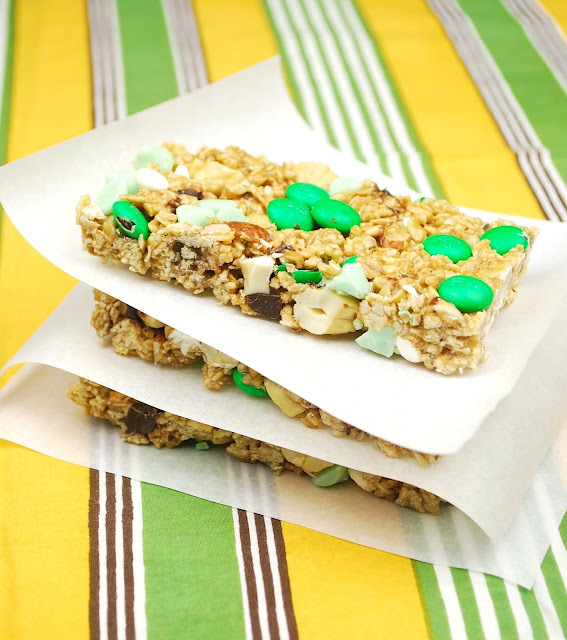 I love the color of those granola bars! These look yummy! You have some great photos! I so want to find my battery charger so I can practice taking food photos again. One of my children lost it and now I need to search the house!